Addiction is destructive, debilitating, and alienating. It doesn’t need to be. In a world where addiction is treated like the chronic brain disease, it would be treated instantaneously. It shouldn’t have to lead to the pain and anguish that it often does. What you need, however long you’ve been struggling, is a comprehensive and customized addiction treatment plan. This is the most significant and vital component of any addiction treatment. Before we take steps to treat your addiction, it is pivotal to establish that you have a disease you can’t control nor overcome on your own. This is an imperative first step along the path of sobriety. Without the eradication of denial, you will never be able to fully recover. 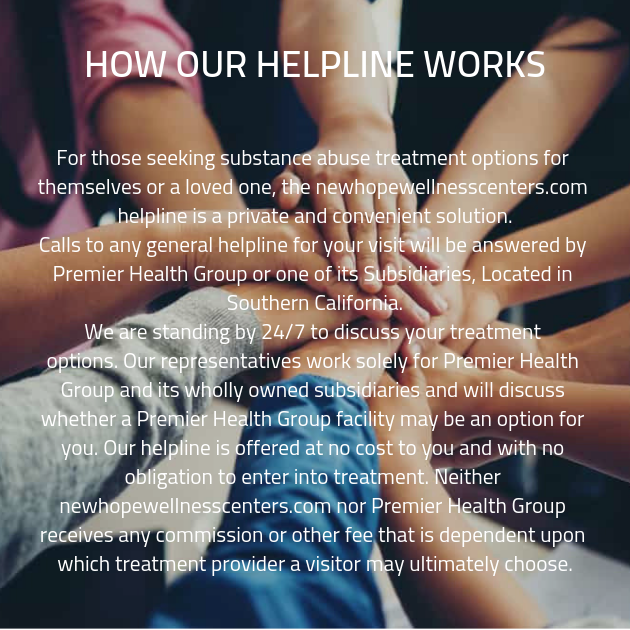 To help you, to create you specialized addiction treatment program, we will need you to be completely honest and transparent. If you are not open with us, there is no way we will know how to treat your condition. Also, if the other clients in the program don’t think you’re taking the program seriously, they won’t be inclined to help you, provide valuable insight, or give you advice. This ties into the theme of mutual respect and acceptance we work tirelessly at New Hope Wellness to defend. We promote an atmosphere that is judgment-free. The environment we cultivate will show you’re not alone, and shouldn’t feel guilty for past mistakes. It is key to forgive yourself to be able to forgive others. You are never shamed at our drug rehab clinics and won’t feel that you have to apologize for anything. Addiction is not your fault. There is no reason to do this alone. Without time to waste, the moment for recovery is now. Come feel that true love and support you have always craved. There are addiction professionals standing by to take you in and begin your treatment.